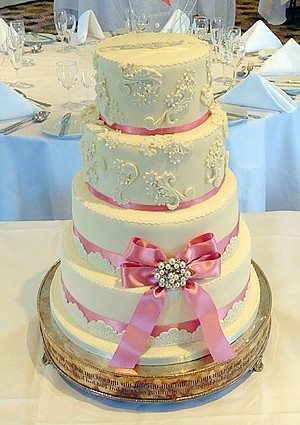 Your wedding day is THE most important day in your life, though we’re sure you’ll have plenty more after your marriage, and the perfect wedding cake makes all the difference to your special day. 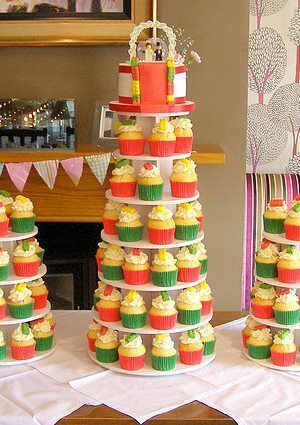 Do you want lots of tiers? 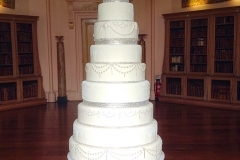 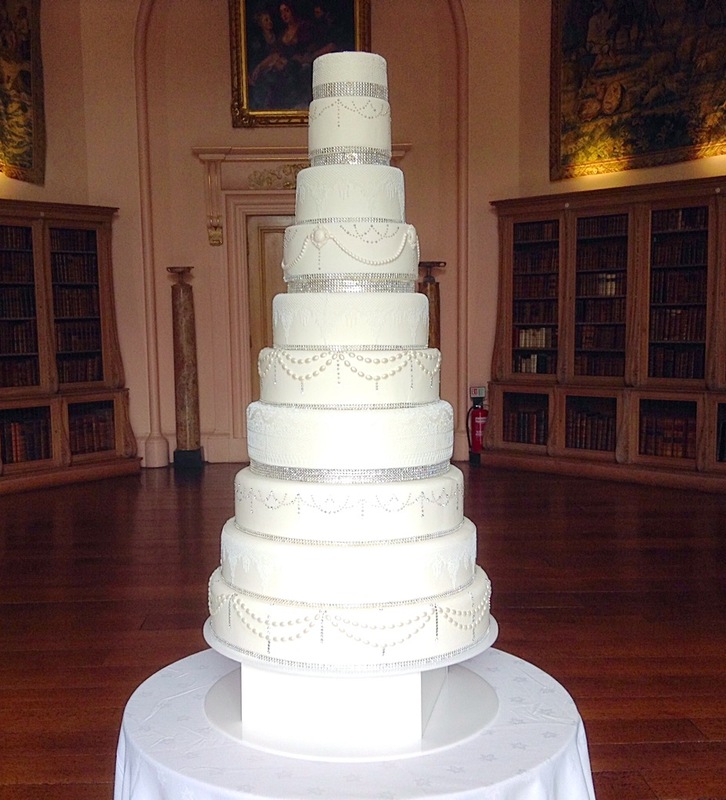 The tallest wedding cake we’ve made was 10 tiers high! 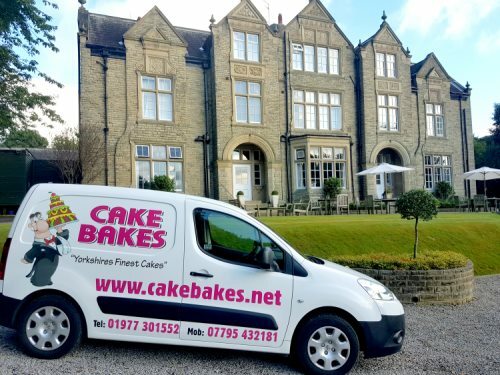 Would you like something other than the traditional fruit cake? 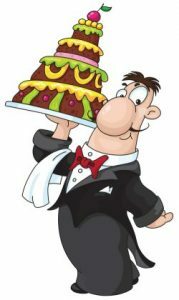 No problem, we can make any filling you like. 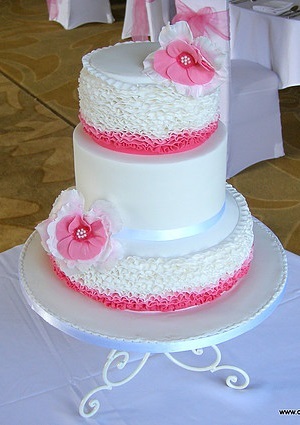 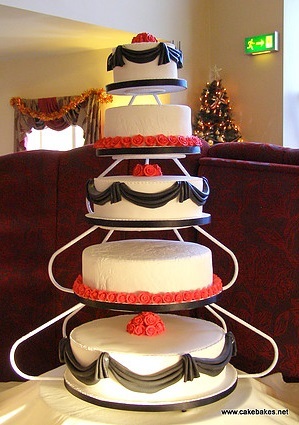 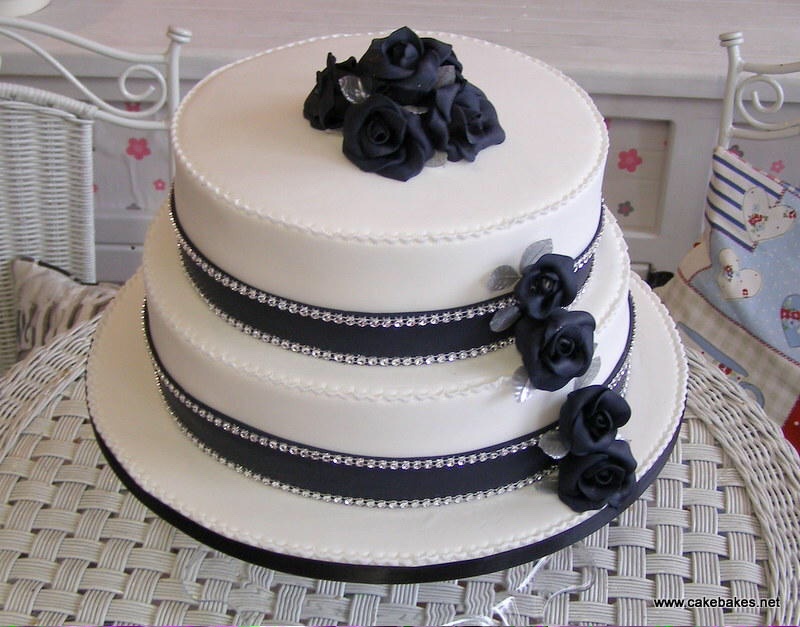 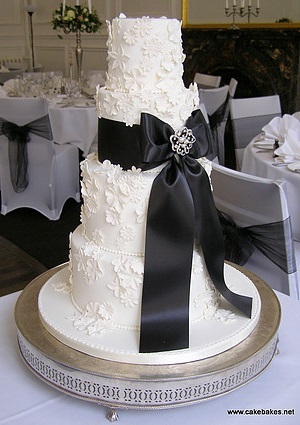 Are you looking for a special decoration for your wedding cake? 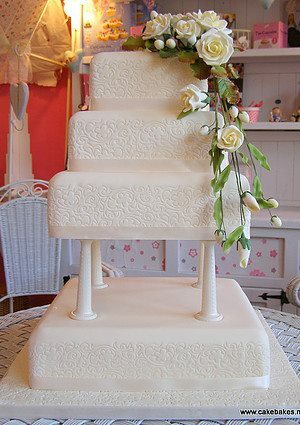 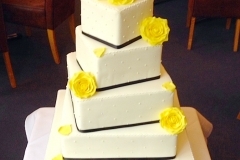 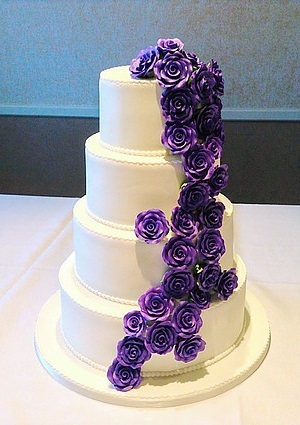 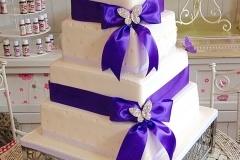 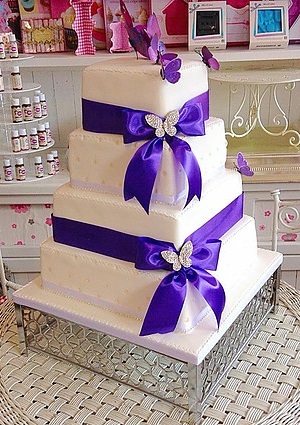 No problem, we do traditional and very unique cakes. 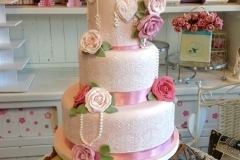 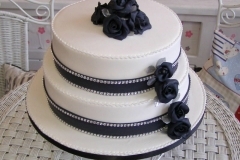 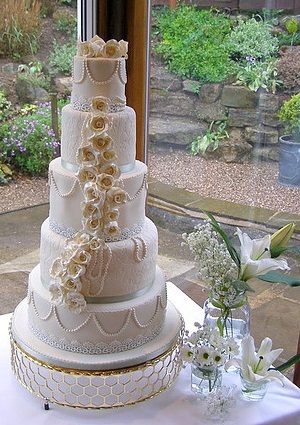 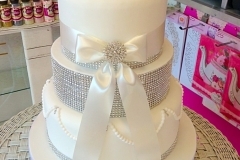 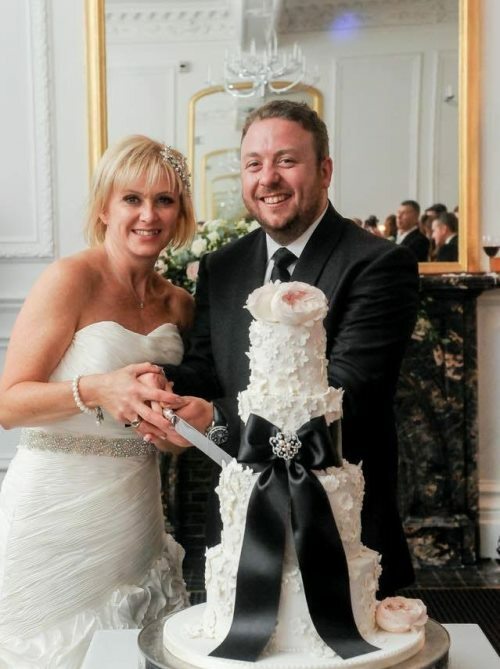 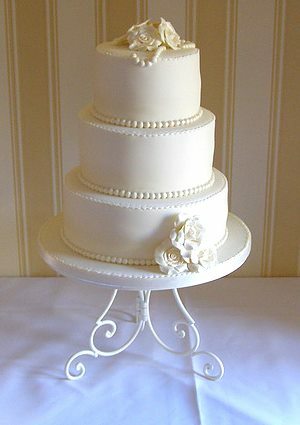 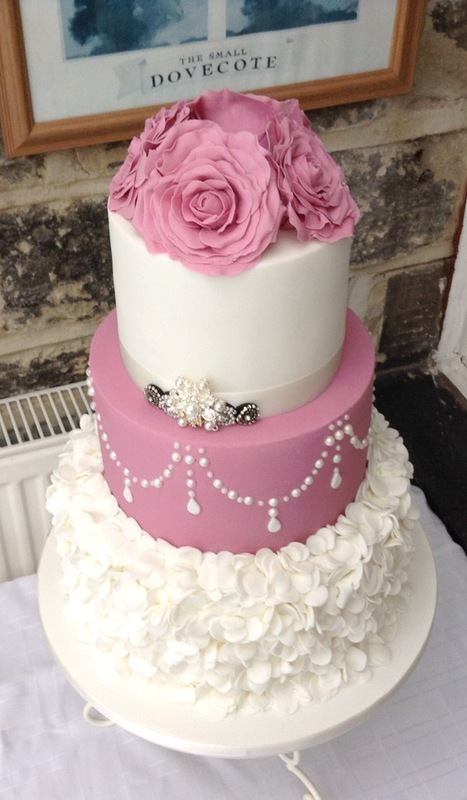 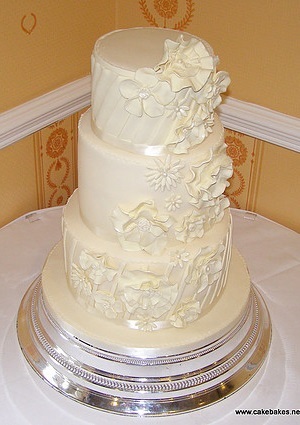 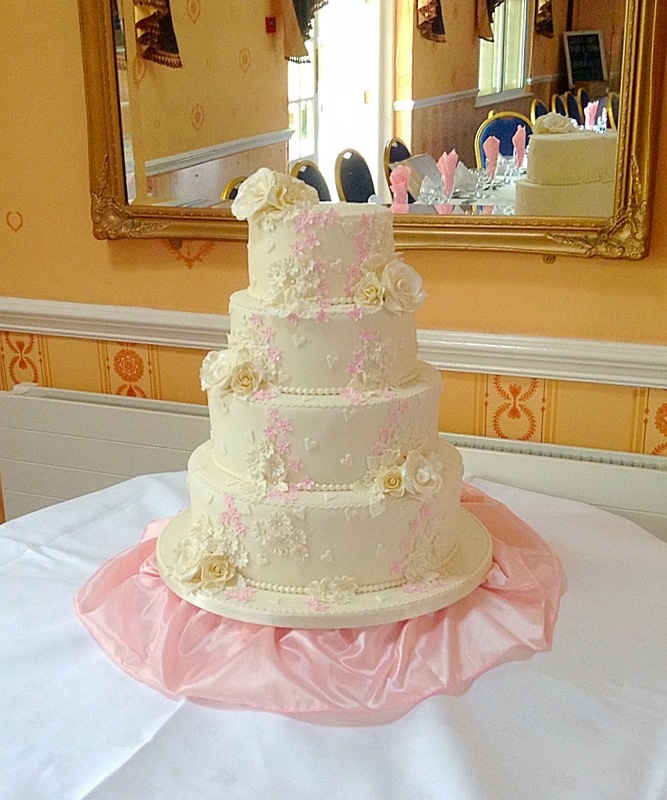 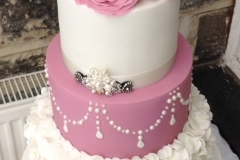 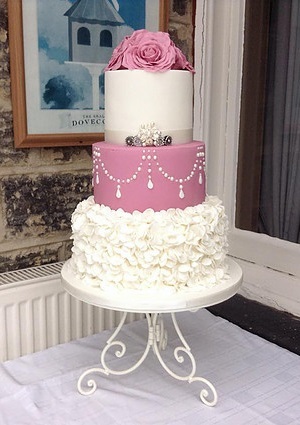 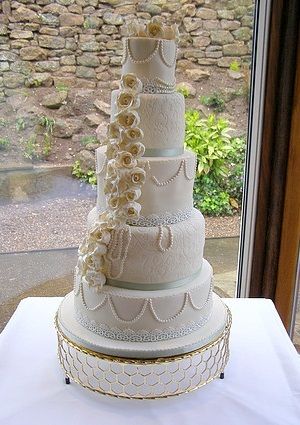 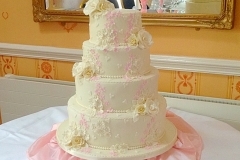 All our wedding cakes are handmade and decorated to order by Jill our master artisan baker in our kitchens in Castleford. 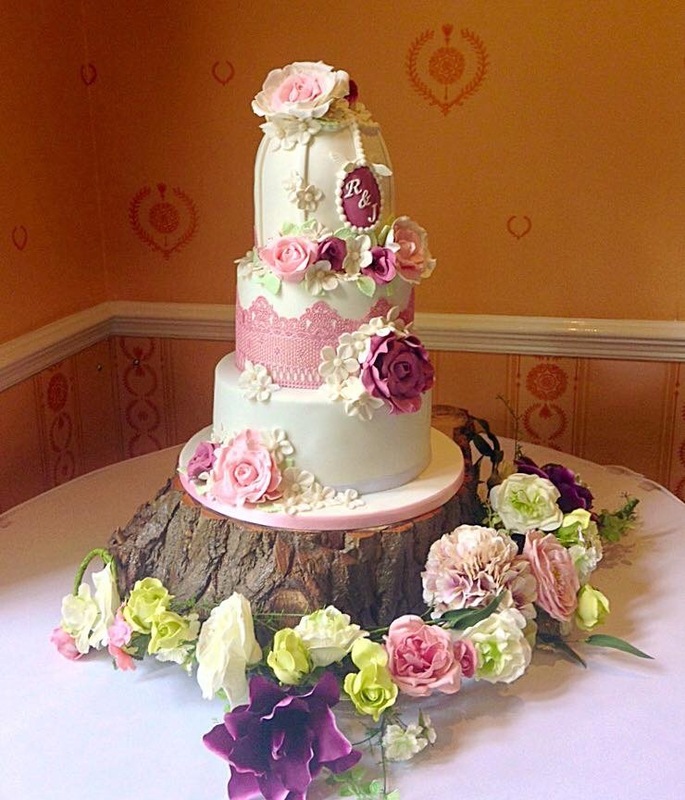 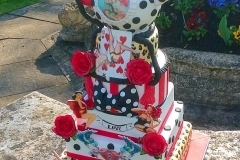 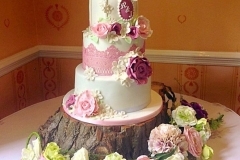 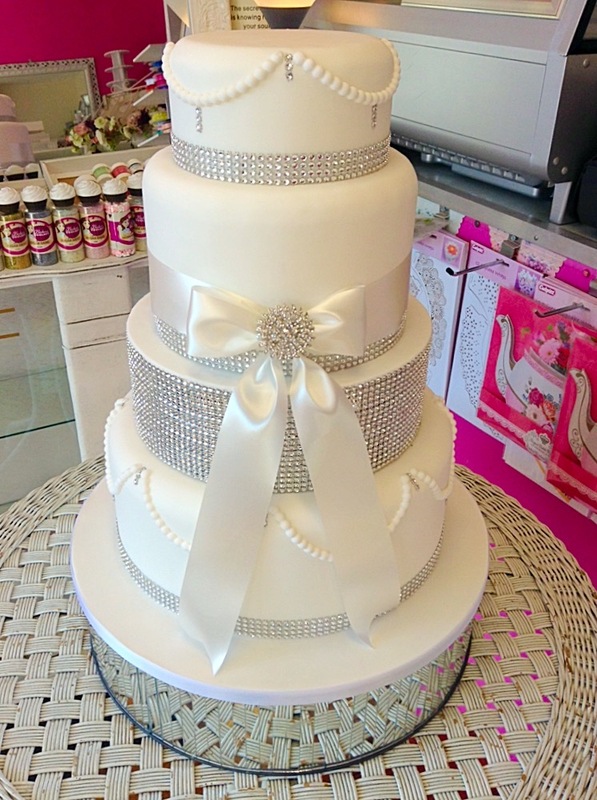 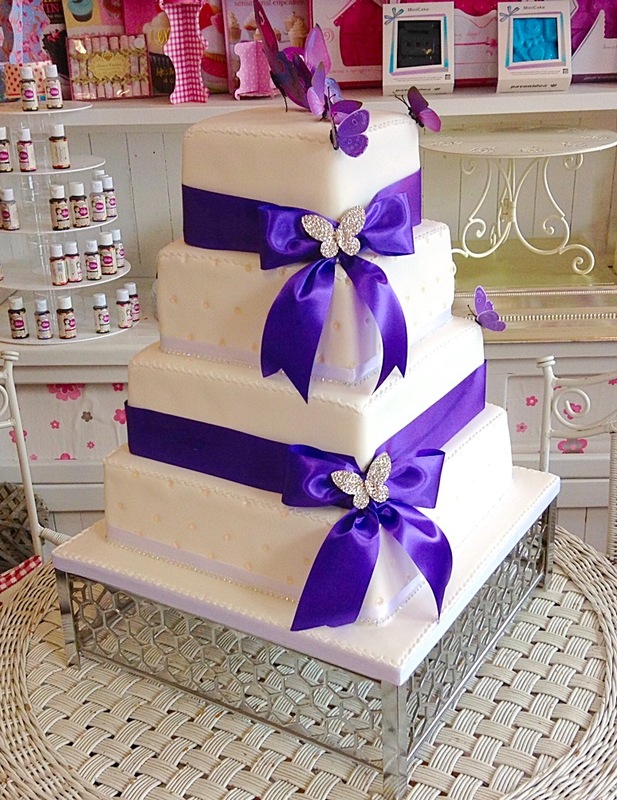 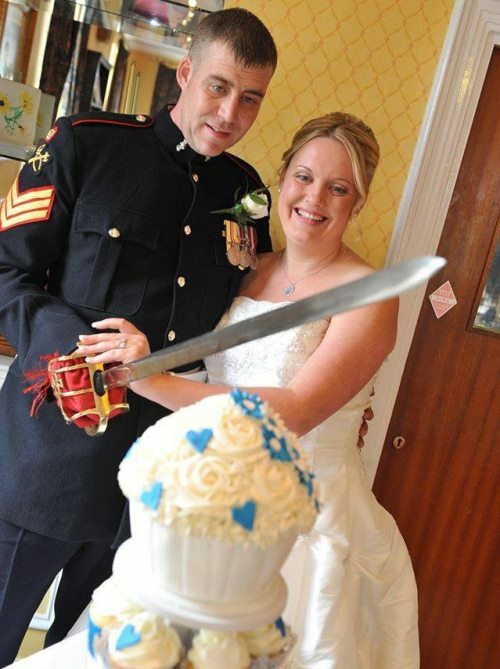 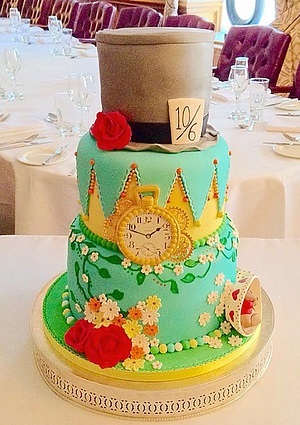 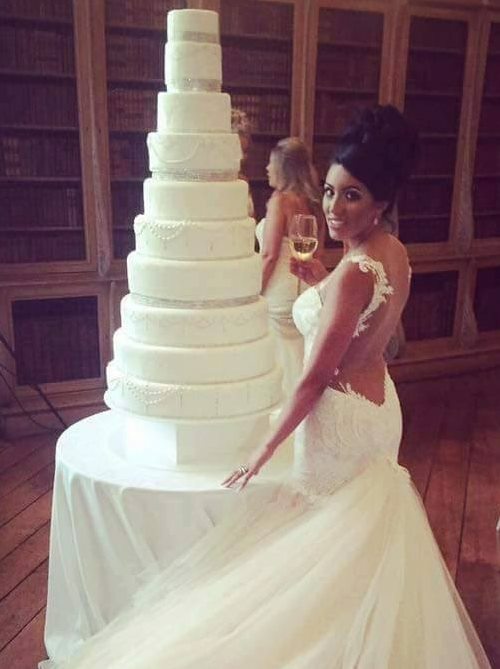 She’s created 1,000’s of cakes for every occasion, but her favourite ones to work on are wedding cakes! 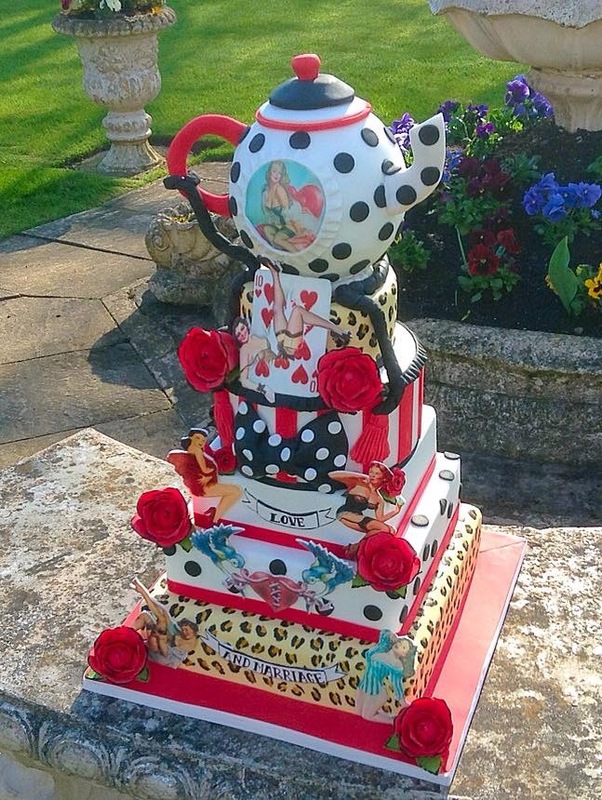 The wedding cake is unbelievable, thanks so much. 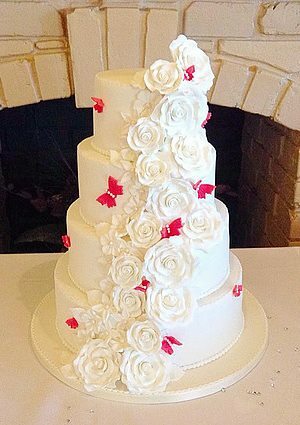 We’re lucky enough that our reputation for creating amazing cakes has spread far and wide. 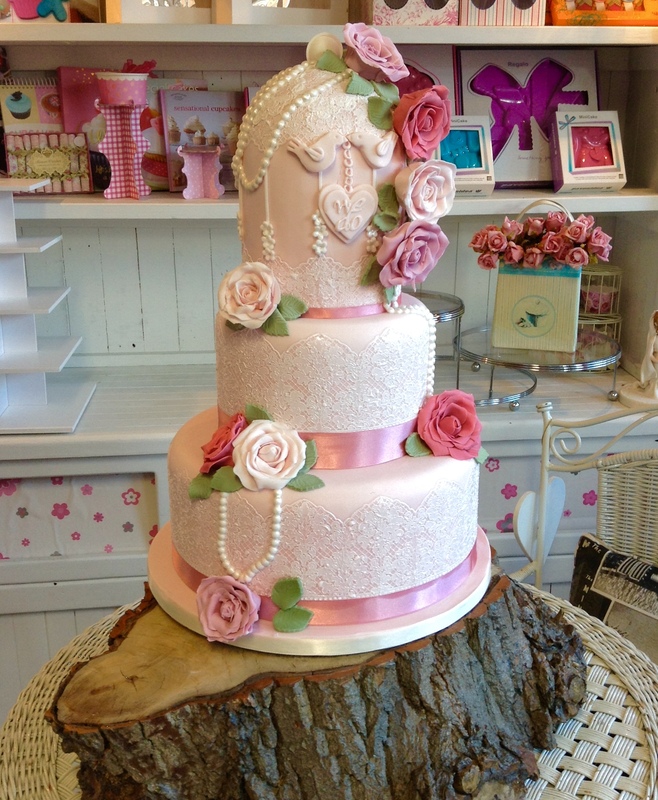 Here are a few of the very special cakes we have created. 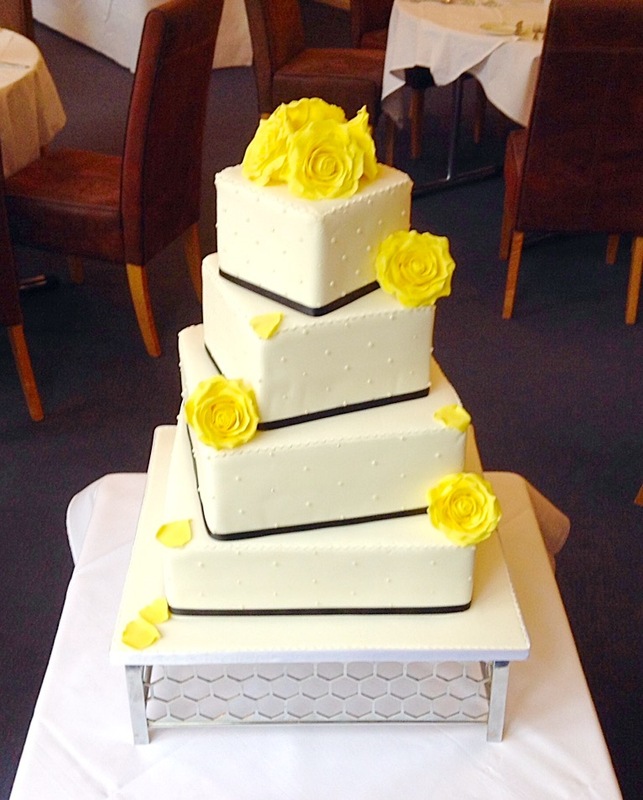 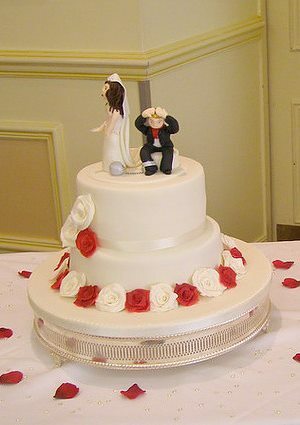 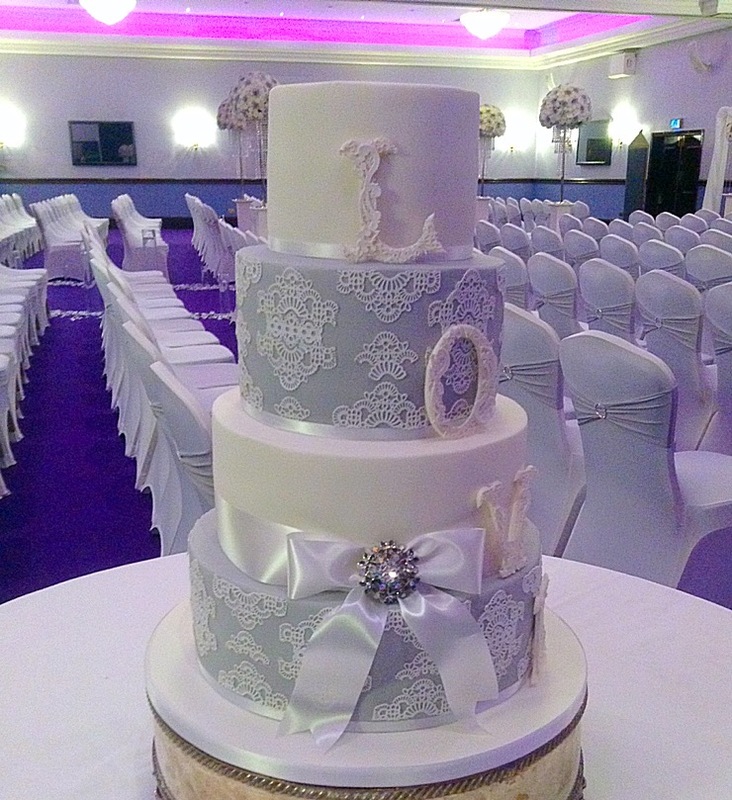 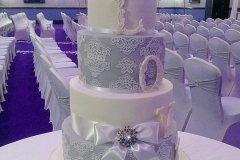 Including a 10 tier wedding cake for the wedding of Leeds Rhinos centre Kallum Watkins and Sophie Watkins.